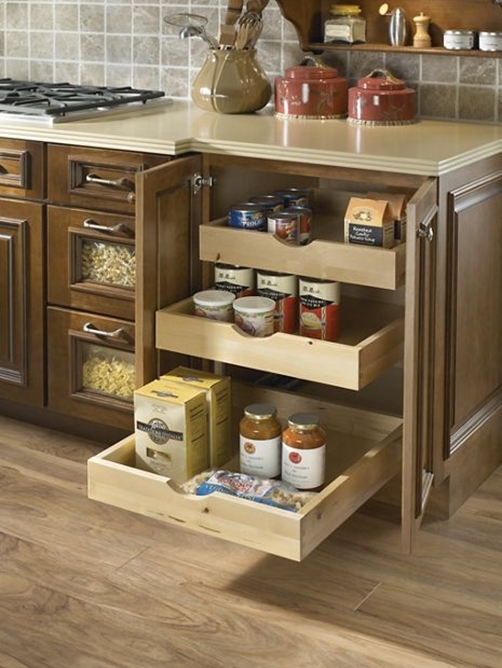 At New Leaf Cabinets & Counters, we place function at the forefront of any kitchen cabinet layout. 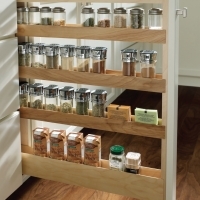 It has been our experience that it's the simple, yet thoughtfull extras, such as a well spaced pull out spice rack, that will take your new kitchen to the next level. 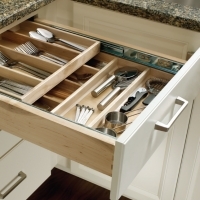 Imagine never having to battle a pile of cookie sheets for the one you need ever again because they are nicely organized in one of our tray divider cabinets. 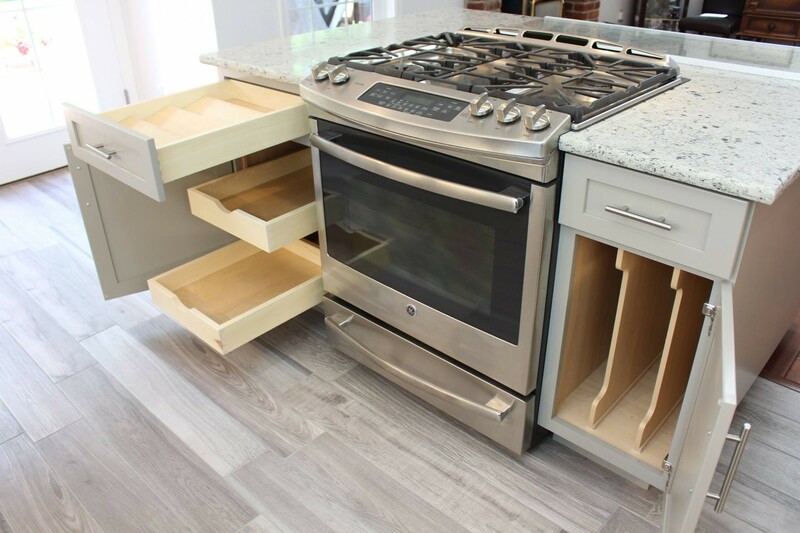 Imagine having an entire cabinet dedicated to your KitchenAid mixer so that you don't have to wrestle it in and out of a cabinet where it doesn't belong. 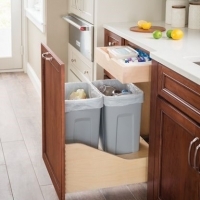 If you have seen it on Pinterest or Houzz, chances are we've got it and can incorporate it into your new kitchen. 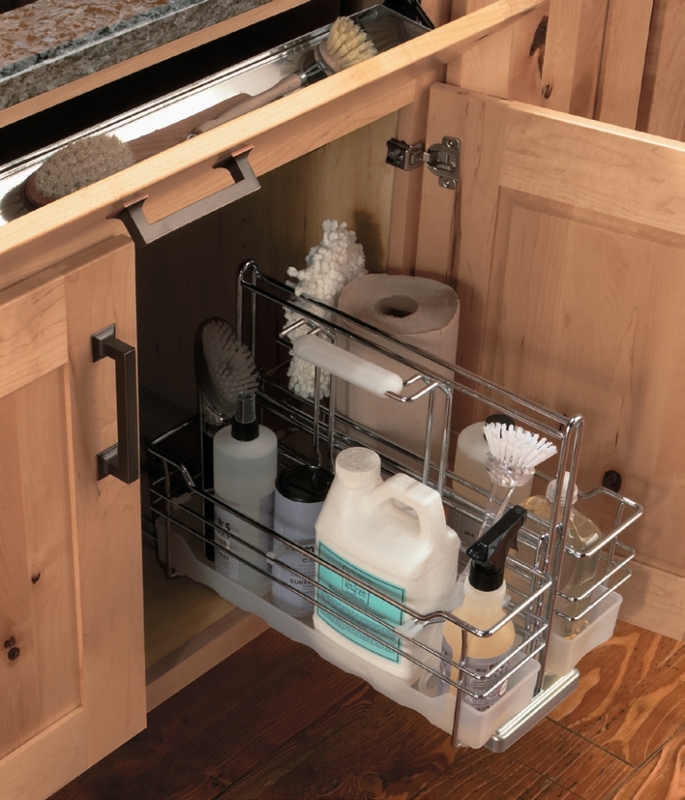 Efficient cabinet storage and organization can be functional and beautiful. 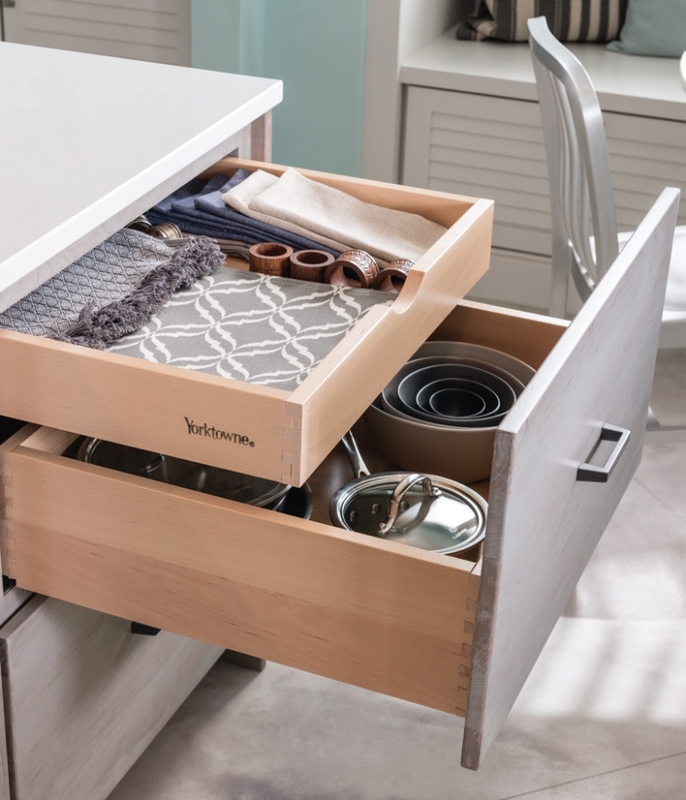 Select from a broad variety of drawer organizers, pull out spice racks, hidden drawers, wine cubes, roll out trays, door organizers and much more. 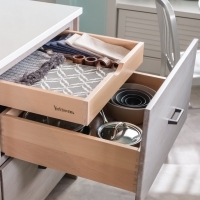 Our expert cabinet designers will help you layout your kitchen cabinets in the most beautiful and functional way possible. 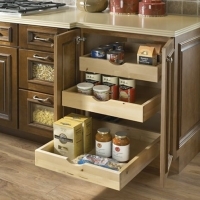 My best advice to anyone getting ready to purchase any type of kitchen cabinet is before you place your final order, take your cabinet drawings home, look at the stuff that you have in your current kitchen and think about where you will keep that stuff in your new kitchen. Where will your pots and pans go? 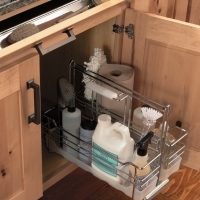 How close is your silverware drawer to the dishwasher? 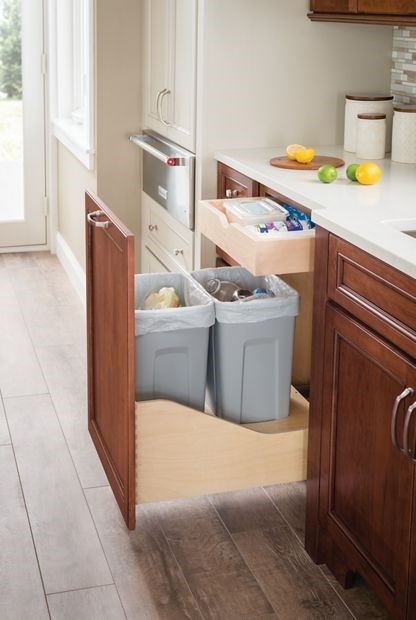 Where will you keep your trash cans? 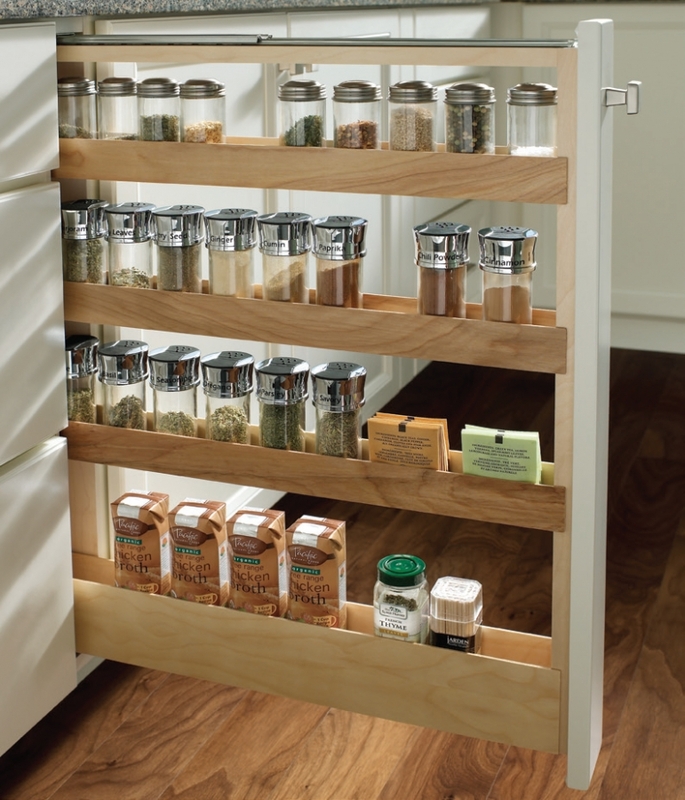 A little extra though during the cabinet design and layout process can go a long way. 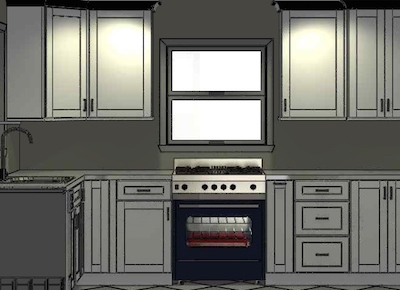 New Leaf will provide you with a free 3D rendering of what your new kitchen cabinet layout will look like. 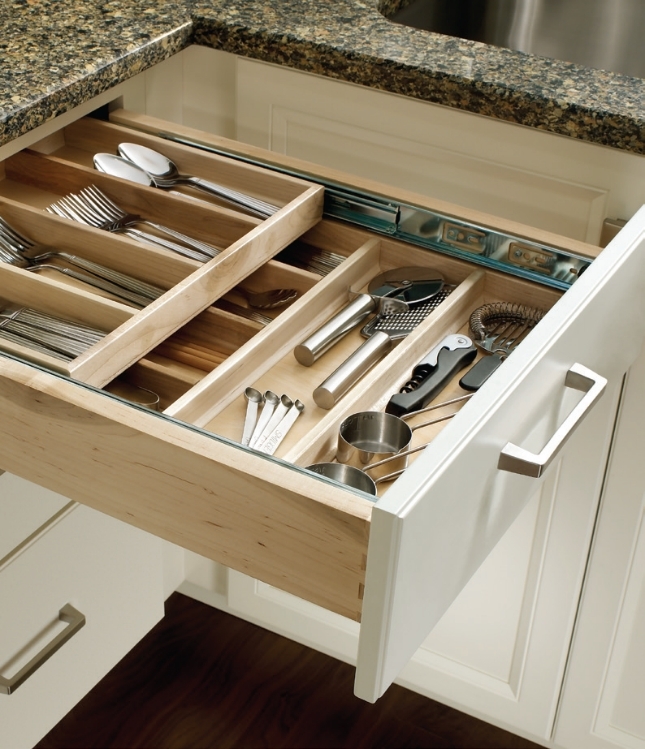 Come into our showroom for a hands on demonstration of what it would feel like to have a beautifully organized kitchen.